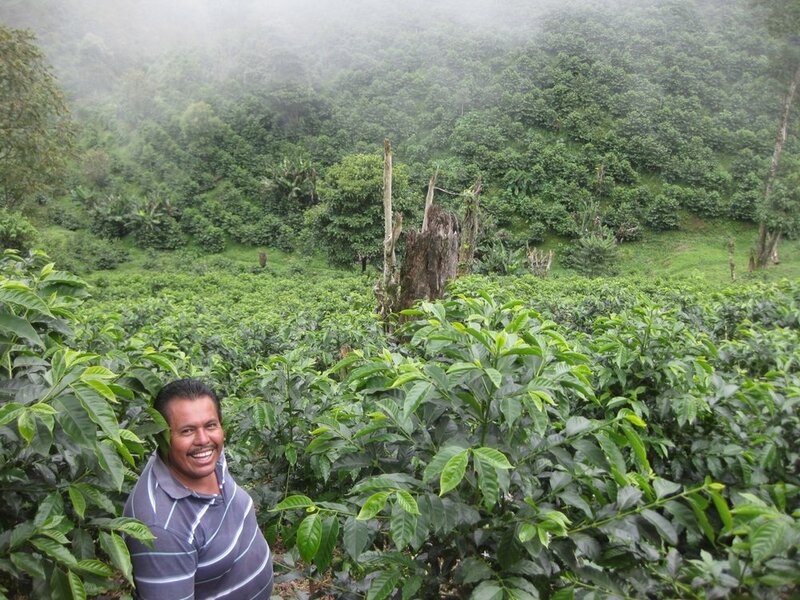 Jose Luis Delcid moved to Las Flores for the express purpose of cultivating specialty coffee. We have known Luis for several years and met him through San Vincente—the exporter that organizes and ships all our coffees from Santa Barbara. Luis has been an employee (truck driver and handyman) for San Vincente for over 30 years and as a result, has gained a lot of experience and knowledge about coffee producing through his work with, observations of and interactions with other producers. Luis acquired Flor de la Peña a few years ago has developed five different varieties on his farm. This farm benefits from high altitudes but has only just recently yielded enough coffee to sell. The 2012 harvest was a mixture of these varieties, but this year, Luis has separated his lots – the 2012 harvest was quite small and Luis could not afford to pay his pickers to separate the different varieties of cherries. In addition to variety separation, Luis has invested in and built his own fermentation tank, using profits from last year’s harvest. We see much long-term potential at Flor de la Peña and Luis has already shown dedication and care through some of his techniques, such as drying his own coffee on patios. He is currently in the process of building solar dryers on his farm.